INFINITE is going to held their first ever World Tour! On June 10, INFINITE has announced the their first world tour ‘2013 INFINITE 1st World Tour One Great Step’ at the press conference and streamed live through Google+ and Youtube. Woolli Entertainment have also released the world tour promotional video at the same time. 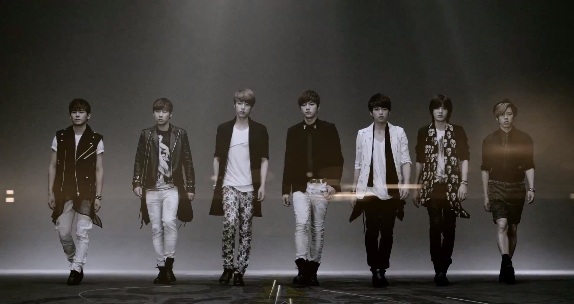 In the video, all the members dressed in black suits. They have announced their world tour will be held in Japan, Thailand, Malaysia, Singapore, Taiwan, China, United States and Europe! The best part is they confirm will held their concert in Malaysia on this October 2013, but the official date and place, still not confirmed yet..